If I've said it once I've said it one hundred times that Instagram continues to connect me with some of the most interesting things going on in fly fishing and the outdoors and recently I was contacted by Chris Parsons of Tin Crown Photo who wanted to pass along that he is donating 10% of all profits made from the fly prints to Project Healing Waters. 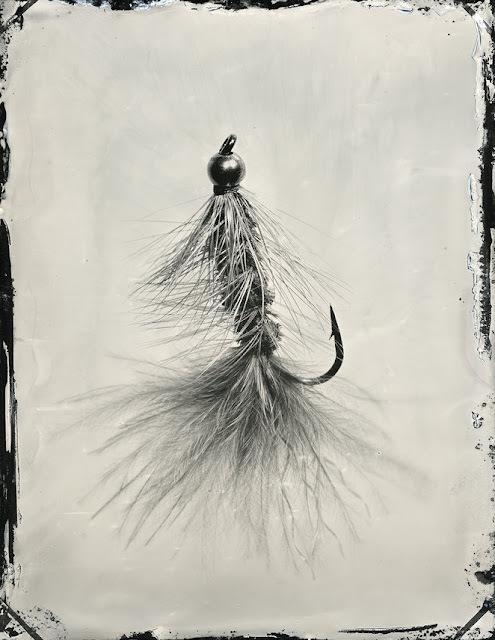 These prints are from handmade tintype originals made by hand using the wet plate collodion process and whenever a print purchase is made, Chris immediately makes a donation to Project Healing Waters and will continue to do so as long as the prints are made. Chris's interest in Project Healing Waters comes from his respect for his father who is a veteran and also his wife who works for the Veterans Administration as a therapist. 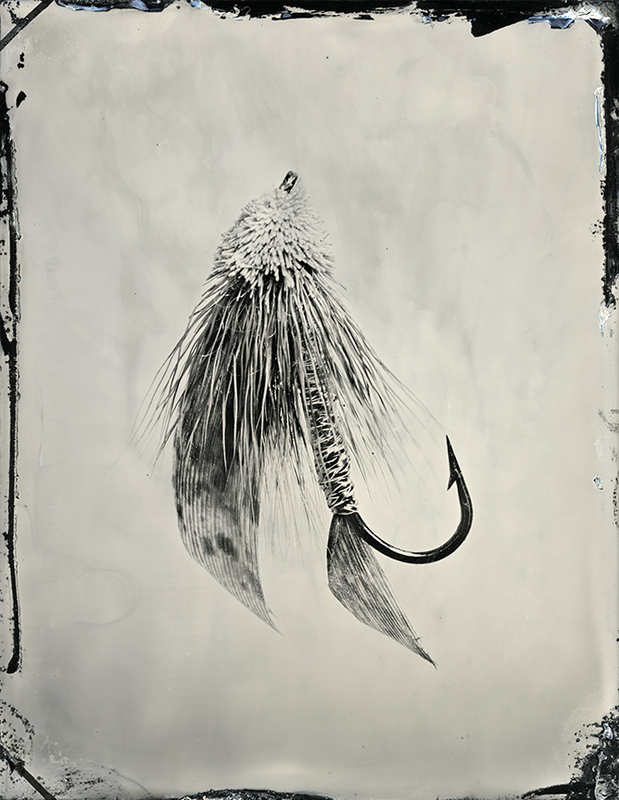 If you are not familiar with Chris Parsons and Tin Crown Photo, he is a native of South Carolina who is now living in Nashville creating artwork as a portrait and still life photographer. 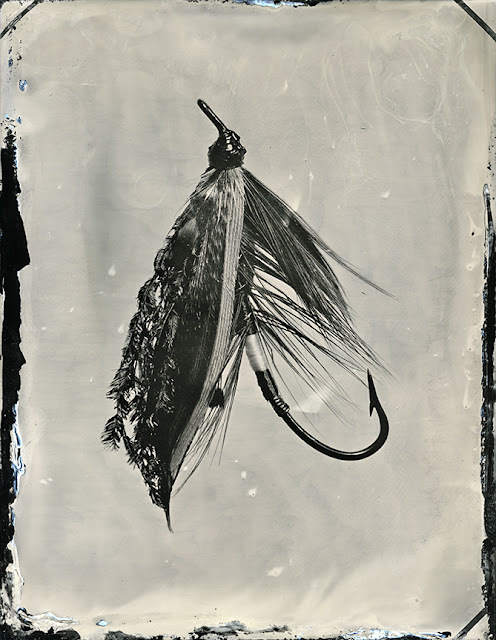 After earning his BFA from The Art Institute of Atlanta, Chris lived in New York City for ten years where he assisted several influential photographers including Steven Meisel, Danny Clinch, Arthur Elgort and Peggy Sirota. 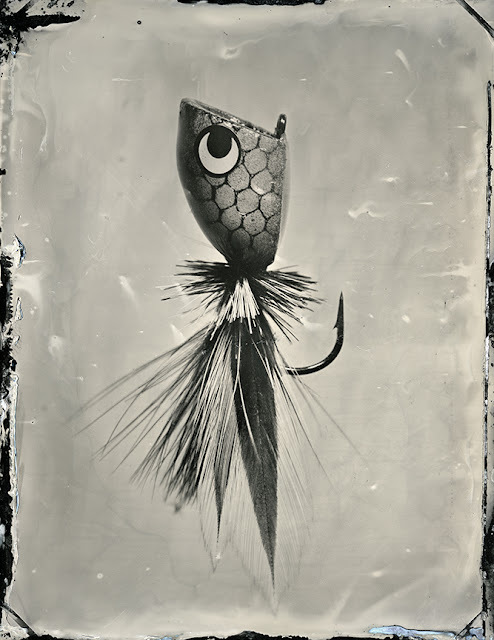 His rekindled interest in 19th century photography dates back to his childhood days when he would collect old tintypes on antique outings with his mom. When working with the wet plate collodion process, Chris aims to capture the symmetry and simplicity of human subjects and the natural world using a medium that embraces the beauty of imperfection. Using a combination of clean, gentle lighting and unpredictable chemical artifacts, Chris allows viewers the opportunity to pause and reflect on a tangible image and connect with the often-ignored intricacies that are constantly surrounding us. Visit the Tin Crown Photo website to see more of Chris's work and be sure to follow along on Instagram as well to follow along on the latest projects and prints.